One example is at number 11. Today there is an Oriental restaurant called Misato, while the basement housed a now-defunct karaoke club by the name of Sugar. 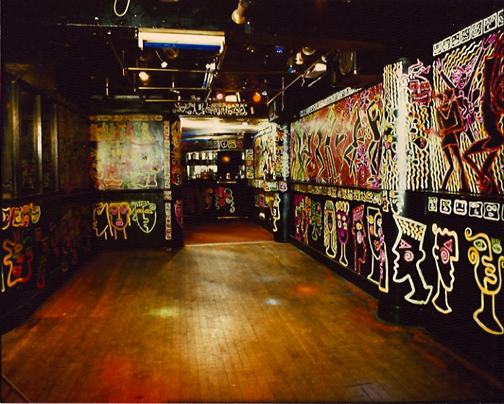 However, between 1989 and 1992 it was home to The Brain bar, gallery and nightclub. Part of a second wave of house clubs building on the success of pioneers such as Shoom and Future, it showcased DJs and acts such as Billy Nasty, Andrew Weatherall and A Guy Called Gerald who would go on to become familiar names. An innovation was encouraging live performance rather than just DJing, pre-empting the rise of the P.A. The Brain was managed by Sean McLusky, a serial club owner and pop culture entrepreneur who first tasted fame as a member of early 80s new wave/ soul act JoBoxers, before going on to kickstart the regeneration of Kings Cross with the Scala and Shoreditch with nights at the 333. 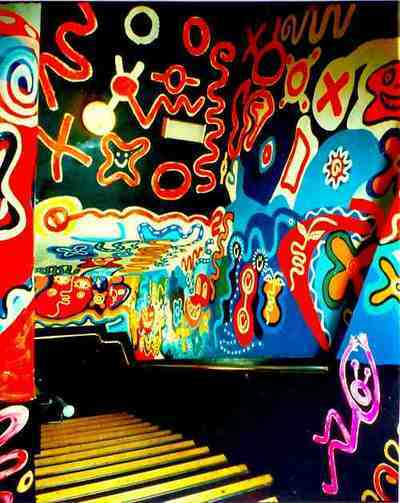 Alongside him was Mark ‘Wigan’ Williams, an artist responsible for the psychedelic interior. At its peak it was what all the best nightclubs should be – intimate, cool and groundbreaking, which is a hard act to pull off. Some former colleagues of mine were regulars around 1990-91 and drew the envy of the younger me, too obviously under 18 to accompany them. What I remember was that all day Saturday the only thing they could talk about was the upcoming night out. It felt like they were part of a community, something more than just dancing to house music. The experience was clearly a moving one for others as well – an effort to write an oral history of the club has been in the pipeline for a number of years, along with a blog. Clubs like the Brain deserve to be remembered for the part they played in transforming London and its nightlife. I hope that this virtual blue plaque will go some way to helping.